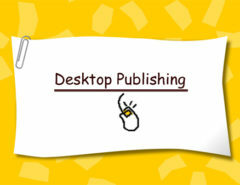 Flip PDF or Flipbook is an online booklet, with the effects of real page turning book. It is created from an MS Word, PDF or image file, with the use of an online or desktop publishing software so it represents a newspaper or a book to read, as virtual paper pages that can be turned/flipped pages manually. This flip page effect is called as GUI effect.This is extensively used for the Microsoft document and PDF version of any documents. This has been developed originally and introduced in Macromedia flash application in the late 1990’s. Later it has been modified and several updated versions have been released and used by the customers worldwide. 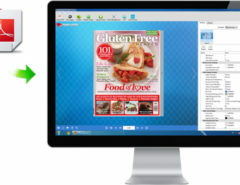 There are several softwares developed that create the Flip Page effect automatically – only online and few for both online and offline. The commonly used softwares to get this effect are Issuu, epageview and apaperflip. These offer only the online version of flip Page and others like pressmo and Flipping book provide the support for both the online and offline versions of the documents. Select PDF to import: the basic and very important feature is the option to choose which document should be convert to flipbook. Page range import: The converting process of a PDF to flipbook might involve converted the complete document that is imported or only a part of it which can be segregated with the page number. The flipbook can be made out of a complete pdf document from only page 30 – 60 out of 100 pages etc. Adding watermarks/ logos: Another important feature is the ability to add logo or watermark or an image on the document to show the copyright of the document to avoid duplication and show your authority over the data provided so no one else could reuse it without your consent. Page quality and size: While creating a flipbook it is extremely important to align the layout properly and hence it is an important feature to .the quality of the page and the size of the alignment to ensure better quality flipbooks are produced. Import bookmarks and links: All the bookmarks and links in the flipbook can be imported at once instead of manually searching and adding them to your computer so them work in your flipbook. Search and detect wide pages: This option endures the wide pages are detected in the flip book so you can overwrite them or remove them before publishing them online. The flip books can run on any and all devices because of the alignments. These documents work well in all devices and are most commonly used in iPhones, Android mobiles and iPads. the software provides with amazing and wide range of flip animations and sound effects. All this can be done in simple steps without any programmer making it extremely user friendly. Even a non technical person will be able to effectively use the Flip PDF software without any prior training or experience, by just following the instructions. The Flip PDF created works both online and offline for all the users and in every device. This Flip PDF can be published to the web where it works perfectly without any loss or transformation of the effects or animations developed in the document and is viewable in all devices, it can be emailed without loss of data and can be distributed on devices for exhibitions and presentations. It can even be burnt into CDs and DVDs for users to effectively use the developed documents. The flip PDF prepared will also support any media, VIMEO, video, youtube, image album, music, voting etc making it the only software to provide the users with many options to create their Flip PDF’s to be user friendly and attractive. 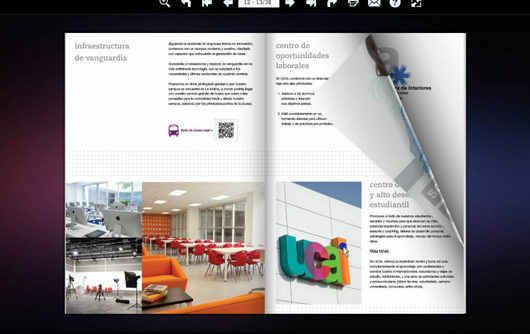 The default templates available are very professional, helping the users in designing their flip books. The customization menu in the left hand side is easily changeable and the search feature is extremely user friendly. The exported html/scripts/folder hierarchy is very well organised and simple and appears to be very easy to integrate.